Welcome to my first Christmas tour for 2015! 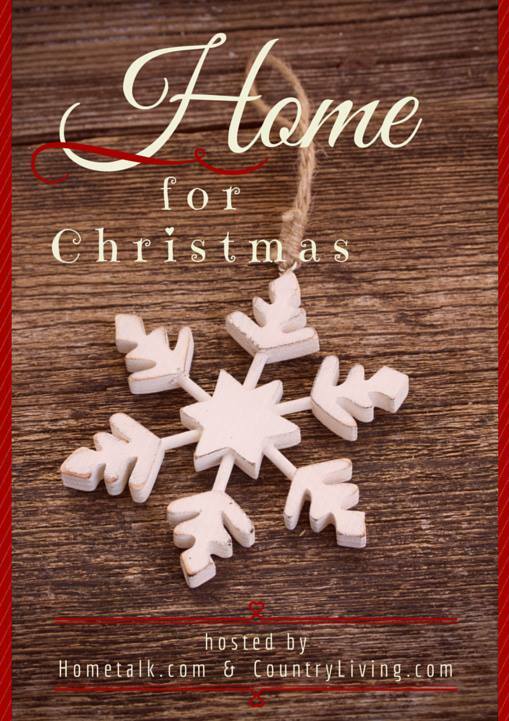 I am so excited to be part of this HUGE (I mean over 100 of us) Christmas Blog Hop hosted by Hometalk.com & Country Living.com. 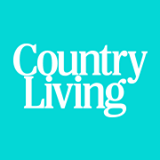 I’m pretty sure you know about Country living, but if you’ve never heard about Hometalk, you can check out my Hometalk thread here. I think you’ll like it over there, it’s not just about decorating. You can even ask questions about home repair…cool. Today though…we don’t plan on repairing one darn thing. I want you to just sit back and relax and check out some of the fun Christmas decorating that’s going on at my house. 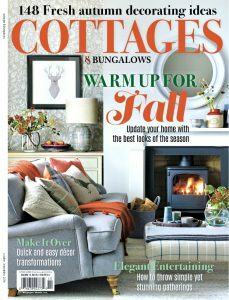 Remember though…this is my job so don’t feel like you have to decorate your entire home like a crazy woman like I do. Maybe just look at mine for fun, and then forget about it. Or…find one little trick that inspires you and give it whirl. Also…don’t forget to check out the many other blog tours at the bottom of my post. Oh, Sylvia. You’re so funny. I truly think our cat was a decorator in another life. Either that, or a model, because like clockwork she shows up at every single photo shoot I do. I moved the chair for another photo, and boom, I turned around and there she was. Sylvia is real, there’s no doubt about that. Our tree is real, too. I’m not sure if it looks real though. It has a nice clean shape to it, so it can be hard to tell. I usually do a multi colored tree, so red and white was a big change. I decided to do a candy cane theme. Candy canes are just so pretty, aren’t they? I used mostly our red and white ornaments and topped it off with our daughter’s black and grey snow hat. I was going to move the big mirror out of the way, but then decided it added some interest. That thing is heavy, so I was happy not to move it. The tree skirt is just some faux fur fabric. A couple years ago we hung the skis, and the Thrift Store Silver Platter Wall in the back ground is still one of my favorite projects. You can also see how we added wood trim on the walls for a more rustic appearance HERE. 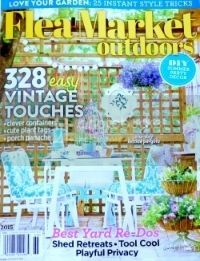 You can also find the chevron rug HERE. 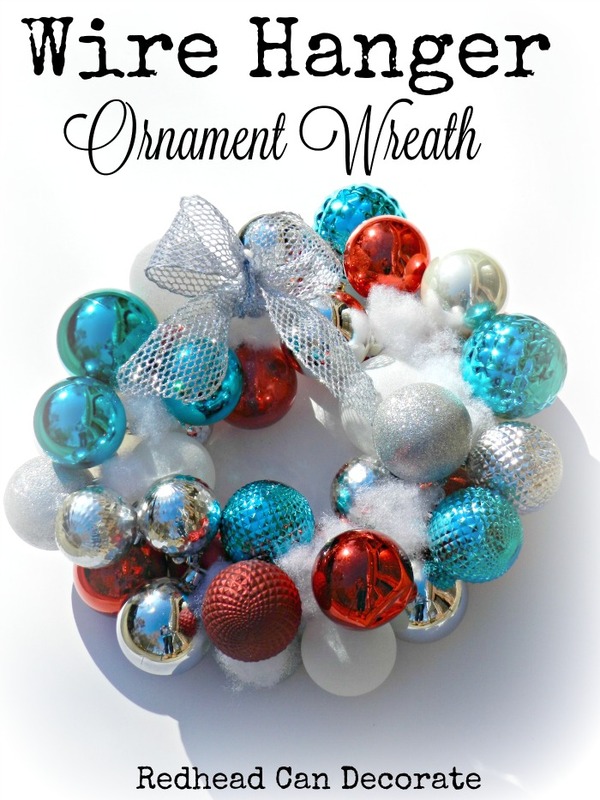 This cute little colorful wreath that could double as a Fourth of July wreath, totally blew my mind. 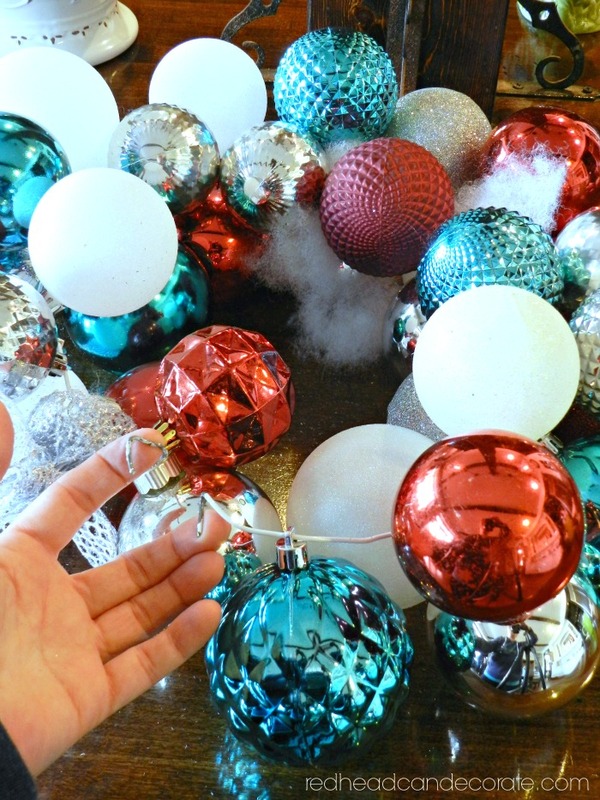 You may find it hard to believe, but threading ornaments onto a wire hanger, totally works. I was shocked myself. 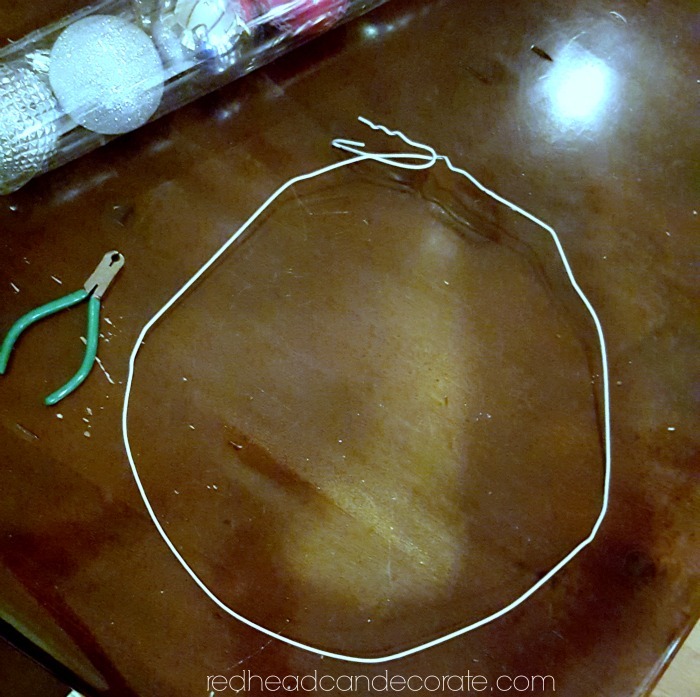 Just form a circle with the hanger, thread your favorite ornaments on there turning them so they can thread on the wire completely and you’ll slowly see how easy this is. The only recommendation I have, is make sure to use ornaments that have a very secure top. Mine kept coming undone. You can also add pillow filling to hide the parts of the wire that may show through. I had my husband twist the ends with pliers at the end. Can’t wait to share this for our American holidays, too. 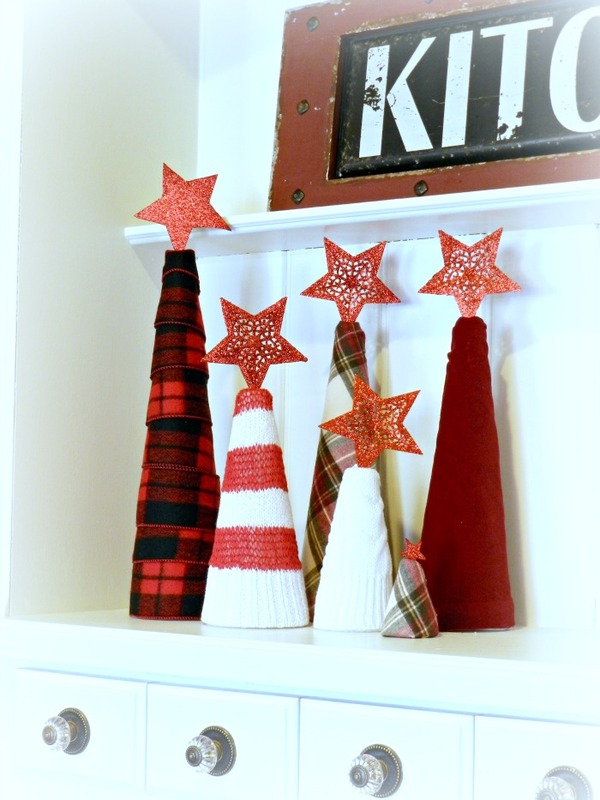 Located on our kitchen hutch (you can find a full post on the hutch HERE) you’ll find these cute little Sweater Christmas Trees (I found the sweaters at the thrift store). You could also call them Flannel Trees. I give a full tutorial HERE on both. These were easy to make and look great anywhere I put them. 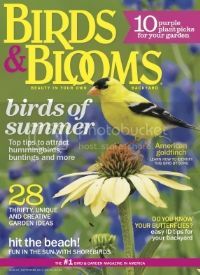 This would make a fun craft with the kiddos. And lastly, my favorite Christmas project of all time. Our Pallet Christmas Tree made it out of the basement alive and well from last year, and I didn’t even have to dust it. Whoopie! I give a very detailed tutorial, HERE, but this basically takes very little skill. We had some brick delivered, and I saved the pallet for a rainy day. Inspiration struck, I painted it white, nailed the nails in where you see the “x’s” below, and zig zagged Christmas lights back and forth to form the tree. I added decorations from the thrift store and I couldn’t believe how cool it turned out. 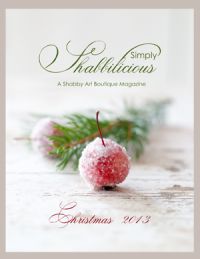 I hope you enjoyed this first glimpse of Christmas around here this year. There’s more to come this week including 3 amazing giveaways so stay tuned (you can find the first cash giveaway here). 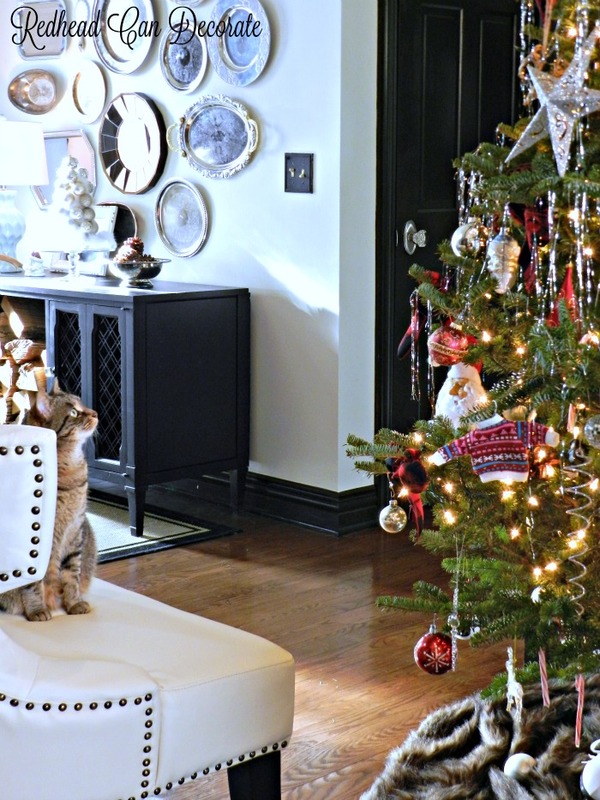 Don’t forget to hop around at the blogs below for more Christmas inspiration. You can also search using the hashtag #HomeForChristmas. 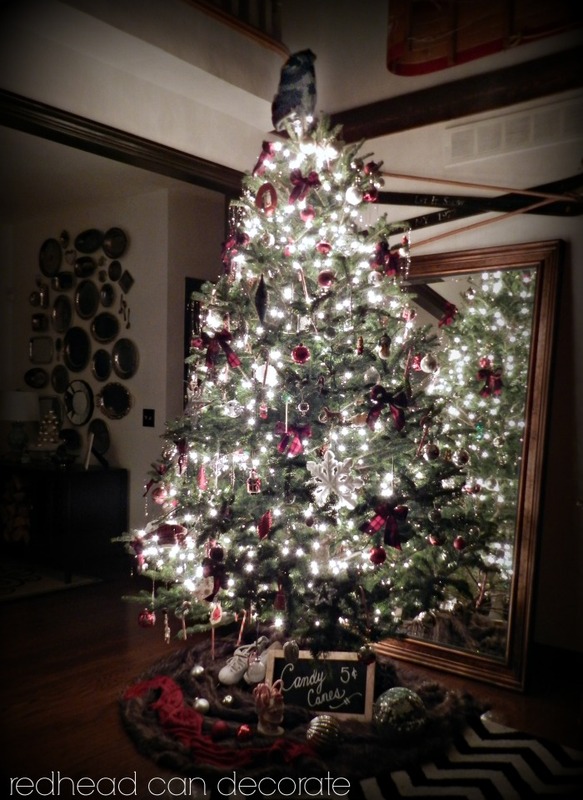 Lots of fun ideas in your home, I love the old timey tinsel on your tree! 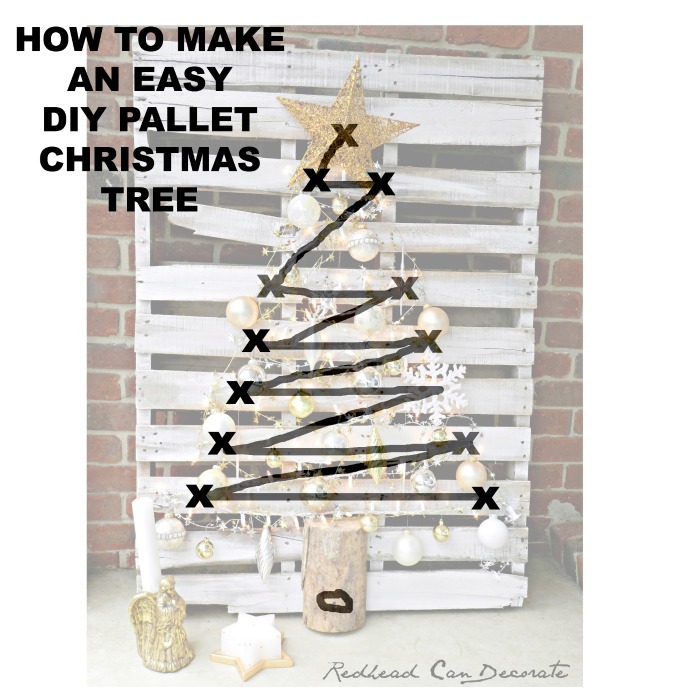 I love all of the projects, but that pallet tree is my favorite! It is beautiful! Your home is always so unique, charming & FUN!! I love the tree & the candy cane sign, not to mention your home itself is awesome..but you already know I stalk your kitchen & dining haha! Happy Monday , Julie!!!! What a gorgeous everything, Julie! 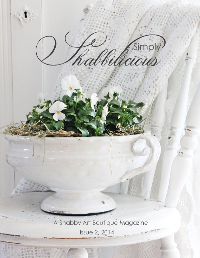 Love seeing your home and all your special touches! Everything is so pretty Julie! Wow! 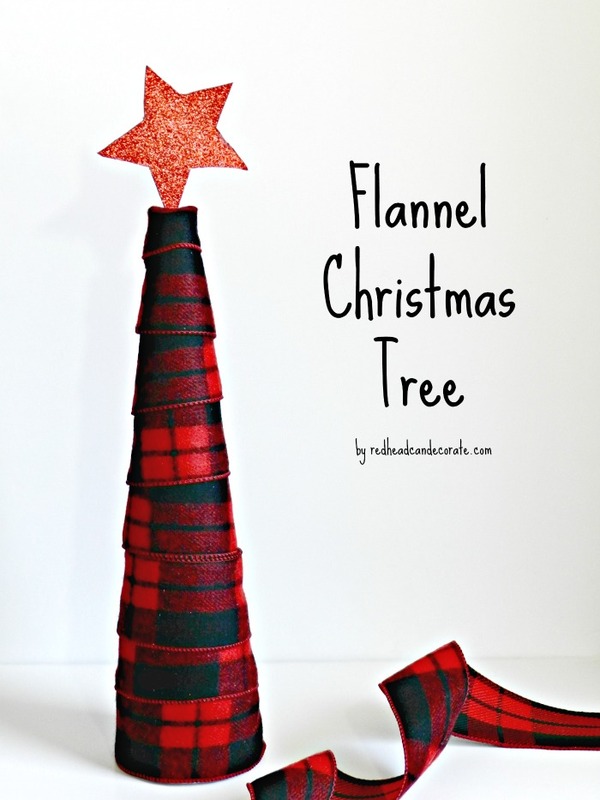 I love it all, especially those flannel Christmas trees!!! I’m so glad we found each other. I’m excited to follow you! Hi Julie! 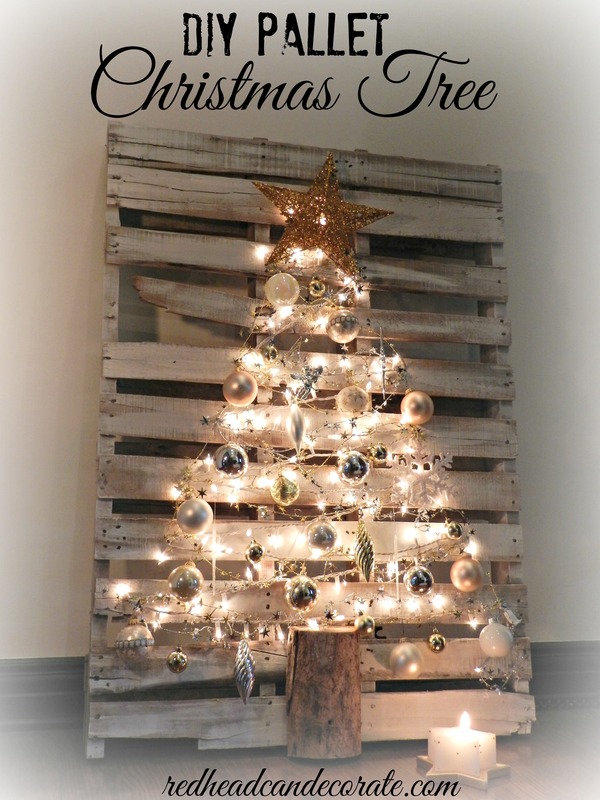 Love the pallet tree but everything is so great! I have a bunch of those foam trees I’m going to get out my fabrics!! Oh my Goodness! I can’t figure out which I LOVE the best!!! It might have to be the pallet tree. It’s so bright and purty! 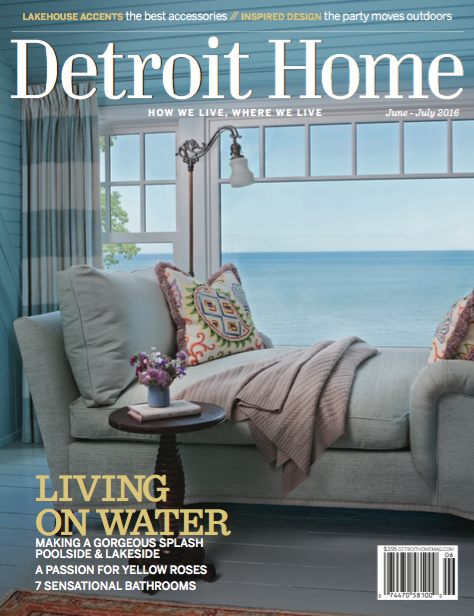 Your entire home is stunning! wow! beautiful! 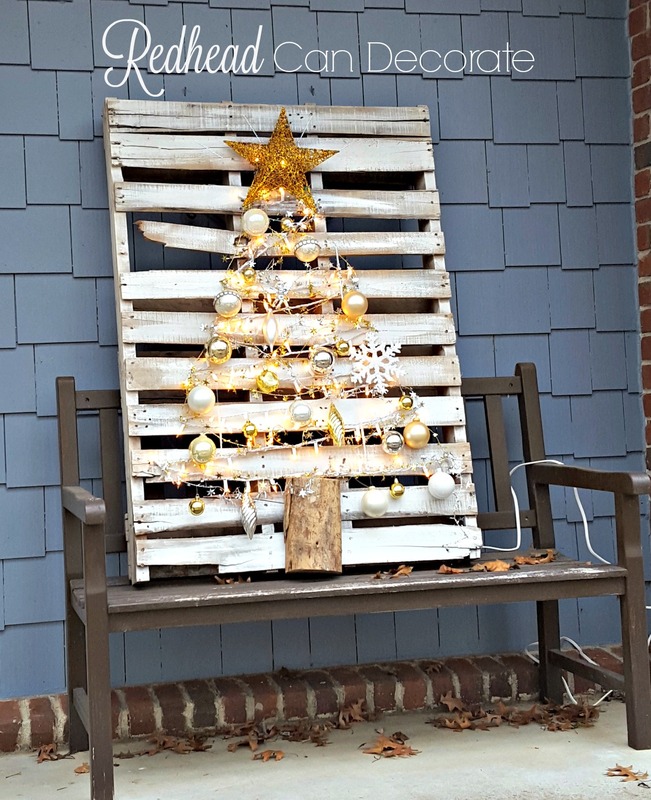 I really love your pallet christmas tree! I love your beautiful pallet tree! That’s so cool!!!! 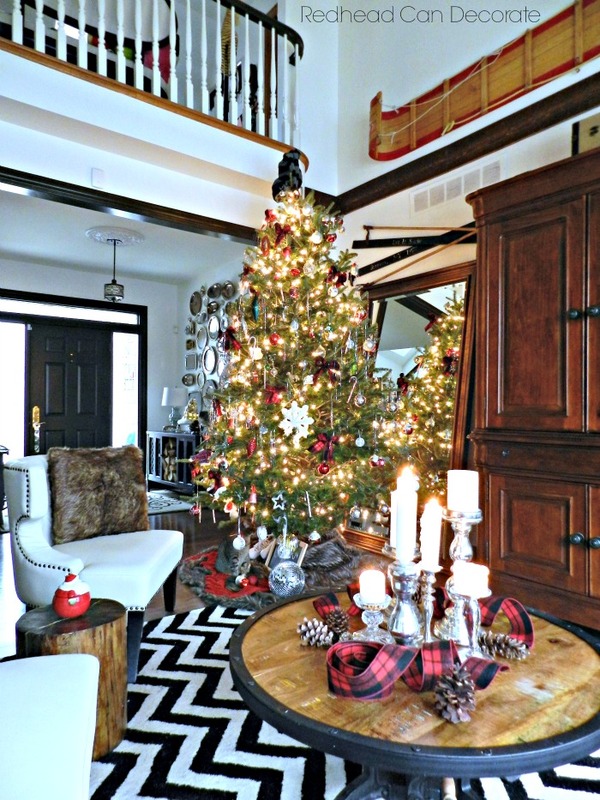 Julie, I love your pallet Christmas tree! Its so festive and absolutely stunning. 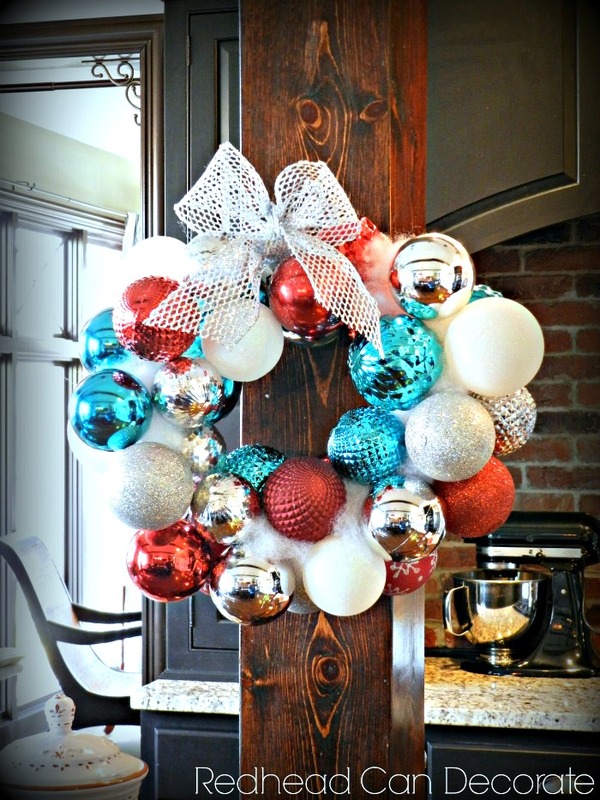 I am pinning and sharing as well as including it in a round up of great DIY Christmas wall decor this morning!